As part of the Bengaluru Design Week that's happening all through this week, Home Canvas is curating a one-of-a-kind pub & restaurant crawl. Dubbed DineXDesign Crawl, the event will showcase some of the best-designed restaurants, pubs and cafes in Bangalore and the story behind what makes their design element so catchy. 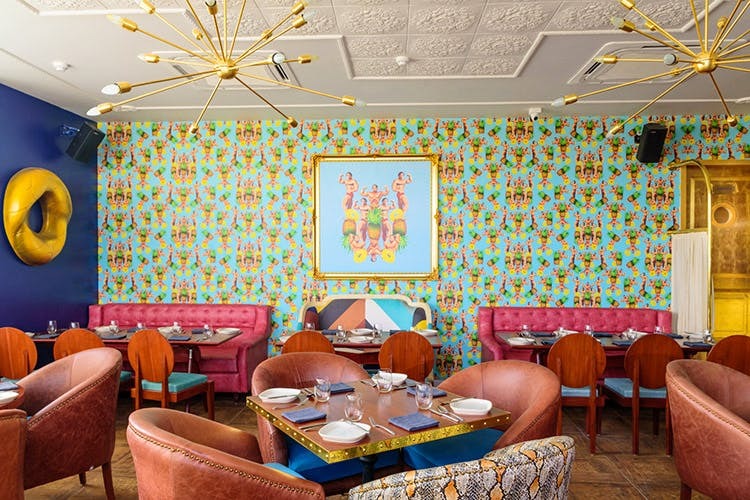 Think The Permit Room's catchy and totally Insta-worthy pillar of matchboxes, Toast & Tonic's East Village theme, Sly Granny's pineapple and Schwarzenegger decor, and 1Q1's art deco interiors. During the crawl, you will learn about décor, design, food and service, and branding that went behind each of these places. The design crawl is happening at six venues across town starting with The Permit Room and ending with Burma Burma. Access to the tour. Food and drinks are not part of the deal. There are two sessions that make this crawl - one in the morning and one in the afternoon - with The Permit Room, Toast & Tonic and 1Q1 in the morning session and Sly Granny, Fatty Bao, and Burma Burma in the afternoon session. You can buy tickets to either of the session or the whole day.